Spidi experience in Motogp and World Superbike serie generated a perfect mix of performance and design: the Track Wind Pro Tracksuit. 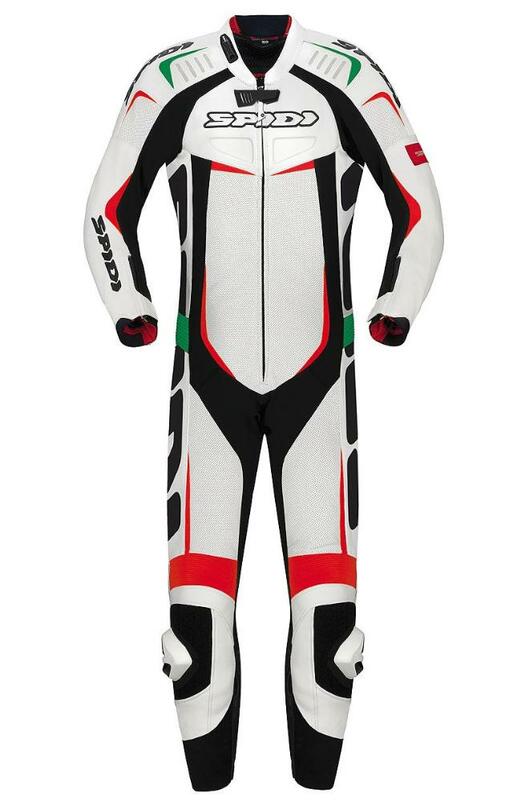 With many innovation tested during 2015 Season by Marco Melandri and Colin Edwards, this tracksuit is made of 1.2/1.3mm thick cowhide with advanced fitting tech thanks to its structure of stretch materials, neoprene inserts and Multitech/Biomechanic/Forcetech protectors, all coming from Spidi racing experience. Protectors also include adjustable knee CE Multitech and CE hips, Track Wind Pro comes with back protector-ready back pocket and chest protector-ready front chest attachment. The Suit can be equipped with exclusive Hydroback system inside its racing hump. 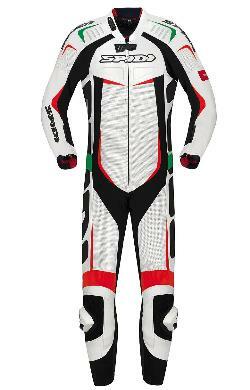 Track Wind Pro Suit can be taylor-made upon request; for any information over Spidi On Fit Program please chek this page.